Do You Need to Be Divorced to File for Custody in PA? When parents split or decide to raise their children in separate homes, each parent may need to learn more about Pennsylvania custody laws. Although a divorce between parents often includes custody issues, parents do not need to be divorced before a mother or father can file a complaint for custody. Parents may also choose to sign custody agreements without court intervention. If custody turns into a disputed issue, advice from a Pennsylvania domestic relations lawyer may be helpful. Pennsylvania custody laws allow any parent with legal rights to file a complaint for custody in the state courts. In general, a husband and wife both have legal rights upon the birth a child from their marriage. Unmarried parents must establish the father's paternity before he has legal rights to a child. The state's paternity laws permit unmarried parents to sign an acknowledgement of paternity form to establish a father's rights. An individual who would like to establish parental rights can also go through the courts to get a determination of paternity. When an individual has legal rights to a child, he can start proceedings to ask a Pennsylvania judge for a court order regarding custody regardless of whether the child's parents are married, separated, divorcing or unmarried. Any parent, married or unmarried, who plans to file for custody in Pennsylvania should know about the types of custody recognized by state law. Legal custody refers to each parent's right to participate in the child's life by making important decisions such as medical care and education. In Pennsylvania, many parents share legal custody. The state also recognizes several types of physical custody, which determines where the child will live. If one parent has primary physical custody, the child primarily lives with that parent. If parents have shared custody or partial physical custody, the child may spend periods of time in both households. If a parent does not have physical custody, state law supports the right to visitation. If married parents separate but do not have immediate plans to divorce, they might consider signing a custody agreement to describe each parent's custodial rights and the child's living arrangements. A custody agreement generally includes both physical and legal custody. If the parents are satisfied with their agreement, they might consider following it and avoid intervention through the Pennsylvania courts. Some parents with custody agreements also file for court oversight, however, because court orders offer protection to parents who need help with enforcement if future disputes arise. Unmarried parents and married parents without divorce cases may file for custody through the local Court of Common Pleas. The parent seeking a court order files a complaint as the plaintiff in the case. Pennsylvania's custody complaint requires the plaintiff to describe the marital status of each parent whether married, divorced or single. Both parents will likely need to appear for court proceedings and participate in a conciliation conference. Some Pennsylvania counties require parental participation in mediation services. When parents divorce, the court makes custody decisions and includes them in the final divorce decree. A Maryland court may award joint or sole physical custody, joint or sole legal custody, or some combination of both. Legal custody is the right to make important decisions about a child, such as where the child will go to school or church; physical custody represents which parent the child lives with and takes care of the child's day-to-day needs. If a court gives sole physical custody to one parent, it may also issue a visitation order to the non-custodial parent, allowing him to spend time with the child. In Mississippi, as in all states, custody decisions are made according to the best interests of the child. Judges may consider a number of factors, including the health and stability of each parent, attachment the child has to each parent and the child's preference. 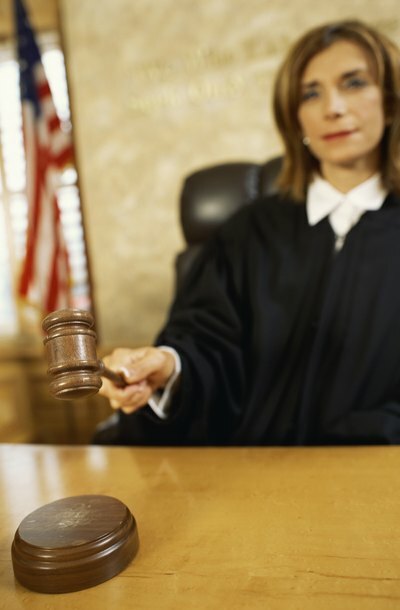 In many cases, a judge will award joint custody. There are a variety of joint custody arrangements available, but -- at minimum -- joint custody means parents share in decision-making regarding the child. A parent who needs a court order for child custody in San Francisco can file the paperwork at San Francisco Superior Court. The procedures and legal standards in San Francisco follow the California state laws with regard to child custody. Each parent should know the rights given by state law and may need to consult with a California attorney who handles family law cases in San Francisco. A low-income family can seek legal help through the court or a local nonprofit serving San Francisco residents.